Do you spend on impulse and regret it later? 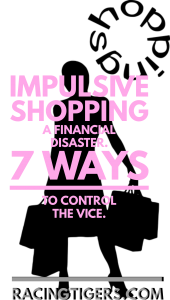 Worry often about ruined finances that impulsive shopping brings with it? It is common. Many of us use retail therapy to boost our mood from time to time. Because, after all, who doesn’t love a great sale? Hitting the shops, looking for bargains, and buying things that appear aesthetically so pleasing? Research suggests that emotions play a big role in our shopping decisions. This say, financial experts, can be damaging to your long-term financial goals. Because, if you are an impulsive buyer then chances are you are not saving enough. Now, I am not here to dole out financial information. It is already out there in plenty. But in all these years of managing a home, and personal finances, apart from being a student of finance and later on an instructor, I have carved out my own rules of shopping that keep us debt free and out of the realm of the mercy of the God of credit – the credit cards. Here are some smart strategies that can help you balance your budget. 1. Understand your sudden urges to dodge them. One way to avoid impulsive shopping is to have a better understanding of those sudden urges. The impulsive shopper in you knows the precise reasons that lead you to action. One way to avoid the vice is to plan the purchase. Go shopping with a list and do not wonder around the aisles looking for bargains. List your expenses in advance to avoid going overboard. 2. Understand the difference between a need and a want. One of the key reasons of impulsive shopping is the inability to differentiate between a need and a want. The other day my 8-year-old son was reading this lesson on needs and wants from his school syllabus. I caught him memorizing the definition of wants which goes thus, things that we like but do not need are called wants. While “A need is something that is necessary” he pounded out next. These are lessons that are taught to us so early in life, yet we lose vision as we progress into adulthood. Ask your self if a potential purchase is a legitimate need. If it is a want rather than a need, give your self-time to think about it. Don’t rush to buy when you see a sale sign offering discount for a limited period. If you see something you like and you think it is a must-have, pause. I usually take a walk and allow my mind to process the information. If it was an impulse buy, I usually forget about it as quickly as I had earlier made the decision to buy it. But If it was essential, then I walk back to the aisle to pick it up again. Cut off easy access to money. Credit cards are great during times of needs but can make us overspend heavily. Always carry a stipulated amount of cash for your shopping spree. When we need to count cash before purchasing, we tend to be more careful. 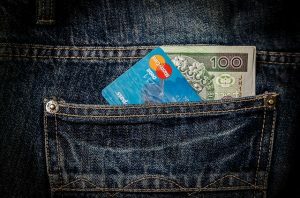 ” For those who buy on impulse, carrying cash and not credit cards can reduce the chances of overspending. So, the next time you hit the shops to wade away bad mood or to kill boredom; carry cash. 5. Create a bucket of investment. Impulsive shopping can be a dangerous business sometimes. To prevent it and keep more money in your pocket, create a bucket of investment and then splurge”, suggests Lovaii Navalkhi, chief financial planner, founder and CEO of international Money Matters, Bengaluru, India. Reading books, updating journals, trying out a quick recipe or simply some good music are all therapeutic and take away boredom. Finding things to do that are interesting will take way the urge to go out on another shopping spree. Staying away may take the fun away from a weekend, but it will help you save enough to indulge yourself occasionally. Penning thoughts and experiences in a journal is a great way to unwind. I don’t update a journal but I have this blog which allows me to share my thoughts and beliefs. A well-written blog post always uplifts my mood and encourages me to carry on further. 7. Plan online shopping too. The ease of online shopping has been known to break some people financially. The vast array of online items and the ease with which they can be purchased by just clicking on a link draw shopaholics to online stores compulsively. It is important therefore to be aware of these traps and tread with caution. Sign up only for those companies that have a good track record and have a huge presence. Companies like GEARBEST, Amazon are trustworthy companies that run great discounts periodically. You may download the Amazon app here. From clothes to kitchen gadgets, to electronic items. There are a whole barrage of things that can be purchased. Go for them, but tread with caution. Finally with everything being said about impulsive shopping ( I mean the negatives of course). A little bit of pamper along the way doesn’t hurt. In a world full of choices it is sometimes alright to let the heart rule over the head. So, take a step back. Relax. Find your balance and be in control.This post is also published in BuzzFeed. Note:THIS POST MAY CONTAIN AFFILIATE LINKS. PLEASE READ MY DISCLOSURE FOR COMPLETE INFO. 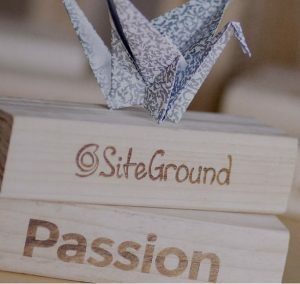 Provides world class hosting with stellar support. So agree with this! Impulsive buying most of the time leads to bad financial decisions! You have shared some great steps to control that urge. Super helpful! I am an impulsive shopper. And I need to start thinking about it . I need to agree with all pointers here, I really try not to be impulsive in my shopping and go only for the planned stuff that to mostly online. It actually drains you financially and you realise this later on! These are all wonderful tips! The online shopping is a great one for me! These are all truly great tips. I think almost everyone gets a little “thrill” at taking home a shiny new something, especially if it was a great deal, but you have to wonder sometimes if it’s really worth it. Yes! I have been going through Dave Ramsey’s baby steps to help with my love of shopping! It can be so dangerous! Yes Jordan. Shopping is is both therapeutic and dangerous. It is solely in the hands of the shopper to balance the two. Is it a need or want? That’s exactly what you need to ask yourself and teach your children. Correct money management can be a big difference. Yes I agree. Impulsive shopping may lead to a disaster sometimes. Yes it does mum! Thank you for contributing. Big hugs to you down the miles. Can I just say what a relief to locate an individual who essentially knows what theyre talking about on the net. You surely know the best way to bring an issue to light and make it critical. A lot more people have to read this and comprehend this side of the story. 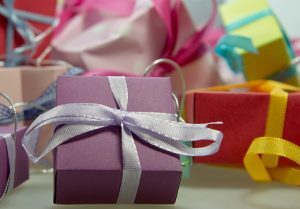 I cant believe youre not far more popular for the reason that you undoubtedly have the gift.